The Uppababy PiggyBack (for Cruz) is a ride-along stroller board which attaches to the back of your CRUZ pushchair and provides an additional platform that big brothers or sisters can ‘hitch a ride’ on if their little legs get too tired to walk. 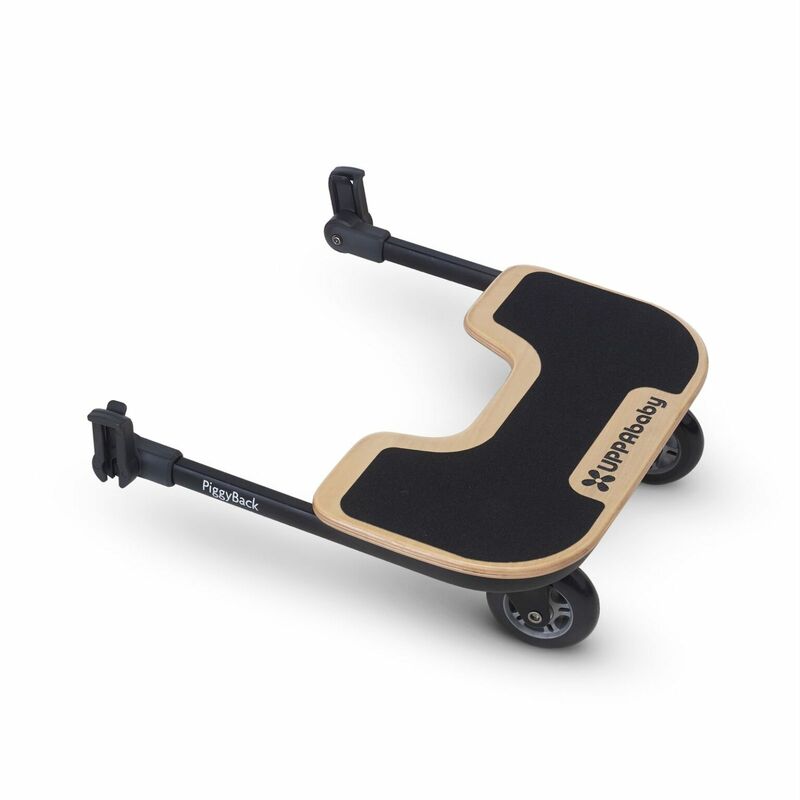 The grippy surface of the PiggyBack prevents slipping, and the board can be conveniently lifted out of the way when not in use. 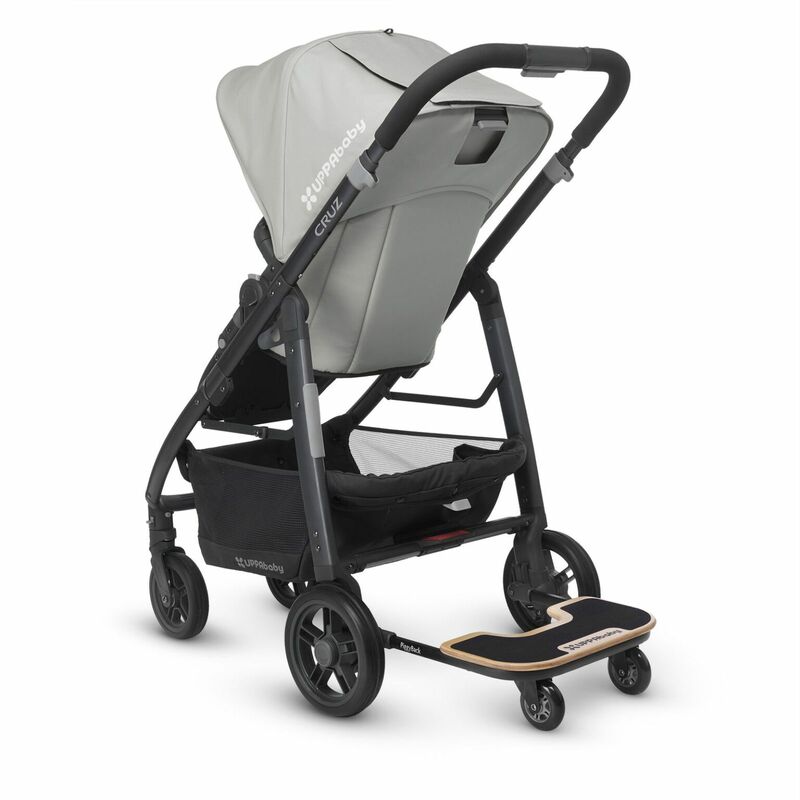 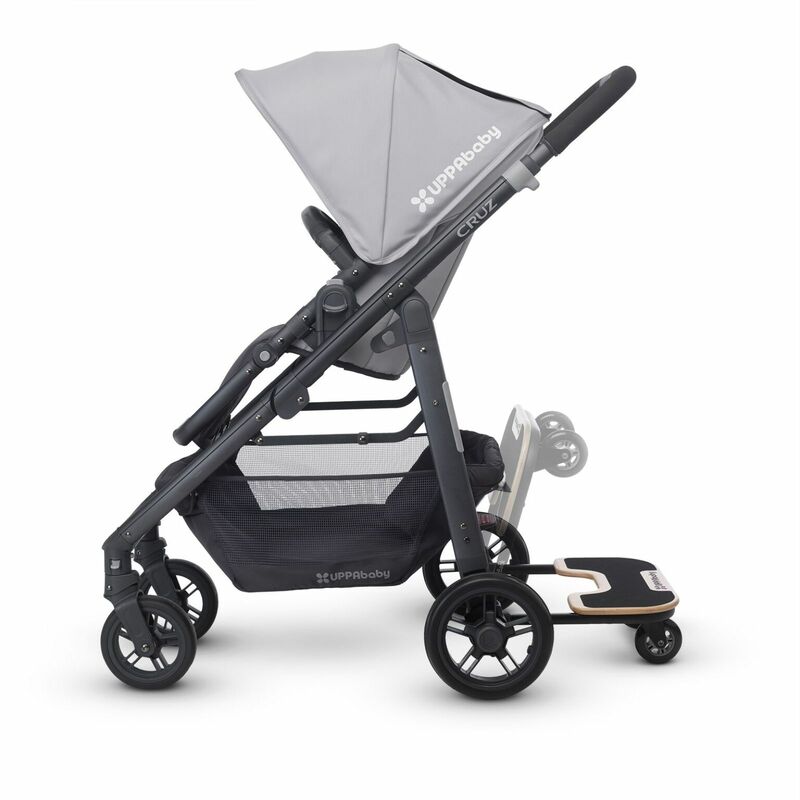 Made from natural, eco-friendly wooden material, the stroller board does not have to be detached when the pushchair is being folded and has a weight capacity of 22kgs.